I am very excited with the upcoming automated elections. Though this is not my first time to vote, I am happy that I’ll be exercising, for the second time, my right to vote. But as the news reported tonight, looks like the country is not yet ready for an automated election. I have nothing against the automated election. In fact, I’m happy about this technological advancement in our history. But if this ‘technological advancement’ would just bring election failure, do we really have to push ourselves with this new process? 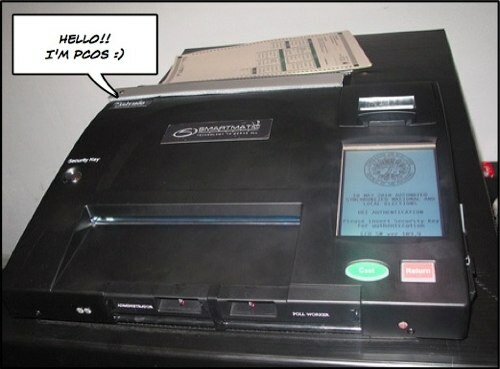 COMELEC conducted test elections in various areas in the country to test the PCOS machines. As expected, the test resulted to a bigger problem that the commission is facing few days before the election proper. Votes from the test automated election counts did not match with that of the test manual counts. This is pretty consistent with all the precincts that participated with the test elections. According to Smartmatic, memory cards of the PCOS machines are the root of the test elections results mismatch. These flashcards have programming problems in memory cards and optic lens that read votes. 76,340 defective flashcards will be replaced, according to COMELEC. Will it be possible for them to replace all these defective flashcards in just a matter of less than a week? PPCRV is requesting the public to TRUST and PRAY for COMELEC. And though various parties are calling for partial, if not fully, manual elections, COMELEC will still stick with their decision that come May 10, 2010, the Philippines will have a fully automated elections. agree! pero Im still thinking na everything will be fine come May 10.. sana talaga! hey dude! kumusta na? hehehe..
bumoto ka ba sa overseas absentee voting diyan? ako rin.. sana maging maayos nga! and Im excited about it! thanks for the info! Ill be checking it out! cool! at least you were able to find your way to register unlike others who didn’t. Vote wisely bro! i’ve registered last year 🙂 yay! 2 days to go election nah!!! !